This week's anniversary of Hiroshima and Nagasaki bombings has come and gone. Trite speeches, touching articles, preposterous foreign-policy claims, along with images of candles and peace origami. I was even going to post one photograph along those lines myself. The cynicism that regards hero worship as comical is always shadowed by a sense of physical inferiority. 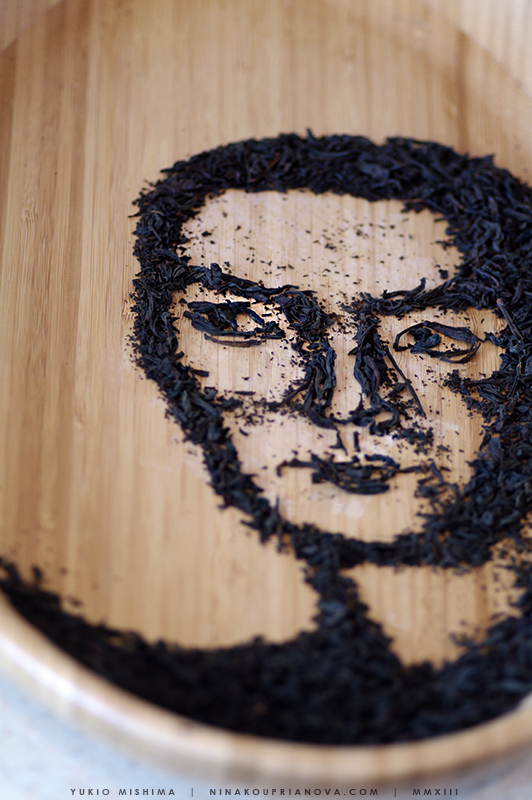 And so I made a portrait of Mishima out of tea. You breathe, and the beauty is destroyed.